HAWAII, USA; BRUSSELS, Belgium; VICTORIA, Seychelles; BALI, Indonesia – The International Coalition of Tourism Partners announced that Msuna Safaris and Travel of Zimbabwe has become its newest member. Brian Kaluna of Msuna Safaris and Travel said: “We are truly honored to be part of the ICTP family. Through ICTP, we will be able to further push our initiatives for sustainable development of the tourism industry in the Southern African region, mainly in Zimbabwe. Msuna Safaris and Travel operates Hippo Creek Lodge in Masvingo, the oldest colonial town in Zimbabwe and home to the Great Zimbabwe ruins, and they also operate Sunbird Lodge in Nyanga, and Villa de Macova made up of thatched huts in a small coastal resort town of Inhassoro in Mozambique. “We have found a perfect partner in ICTP, and through this we can achieve our goal,” Mr. Kalunga added. The International Coalition of Tourism Partners (ICTP) is a grassroots travel and tourism coalition of global destinations committed to quality service and green growth. ICTP engages communities and their stakeholders to share quality and green opportunities including tools and resources, access to funding, education, and marketing support. 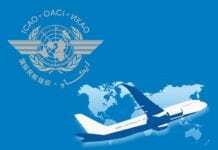 ICTP advocates sustainable aviation growth, streamlined travel formalities, fair coherent taxation, and investments for jobs. ICTP supports the UN Millennium Development Goals, the UN World Tourism Organization’s Global Code of Ethics for Tourism, and a range of programs that underpin them. ICTP has over 100 destination members (tourism boards) and more than 500 private stakeholders. Council membership privilege is currently extended to Elsia Grandcourt, Seychelles Tourism Board; Byron Henderson, Travel Registry Management Company, Fort Lauderdale, FL, USA; Charles Lindo, St. Eustatius Tourism Development Foundation; Monika Maitland-Walker, Tourwise Ltd., Jamaica; Otunba Segun Runsewe, Director General, Nigerian Tourism Development Corporation; Aviva Pearson, Simpleview, Tucson, Arizona, USA; Rica Rwigamba, Rwanda Development Board, Kigali, Rwanda; Laura Vercueil, Johannesburg Tourism Company, Johannesburg, South Africa; Pascal Viroleau, Ile de La Reunion Tourisme, La Reunion (French Indian Ocean Territory); Anna Yushkova, Pacific Island Club, Saipan, Northern Mariana Islands. ICTP Advisory Board members: Louis D’Amore, International Institute For Peace Through Tourism; Dr. Elinor Garely, University of New York; Sandy Dhuyvetter, TravelTalkMedia; Maga Ramasamy, Air Mauritius; P. V. Pramod, India; Carol Hay, Caribbean Tourism Organization. Executive Board members: Juergen T. Steinmetz, eTurboNews, Hawaii; Prof. Geoffrey Lipman, Brussels; Hon. Alain St.Ange, Minister of Tourism & Culture, Seychelles; Feisol Hashim, Alam Resorts, Bali, Indonesia.